The Bycyklen program offers e-bikes from GoBike with features like a touch screen tablet computer on the handlebars with built in GPS for finding docking stations, public transit, and tourists spots like museums and restaurants. The touch screens are built to be weather resistant and hopefully tamper resistant! The GoBike e-bikes are built to fit almost anyone with a very low step-through frame, puncture-proof tires, a front hub electric motor, adjustable seat heights, built-in lights, rear rack and fenders. In addition these e-bike feature a Gates Carbon belt drive to reduce the maintenance and eliminate greasy chains. The new Bycyklen program has hundreds of GoBikes at 20 docking stations in Copenhagen and Frederiksberg. One of the stations is at City Hall for politicians and government workers to use. That is a lot of electric bikes! Awesome. 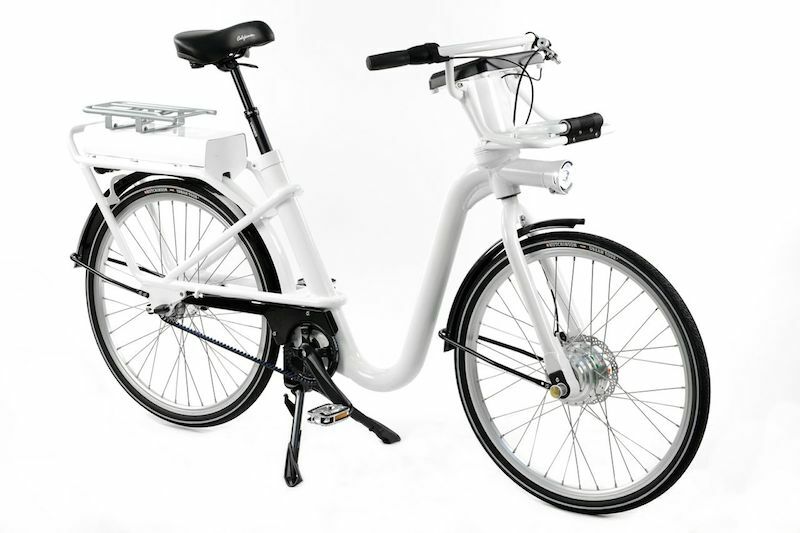 The Bycyklen electric bike share bike from GoBike. The Bycyklen electric bike share station at Copenhagen city hall. What do you think? Would you like to rent an electric bike to see and experience Copenhagen? Would you use an electric bike share program in your city or town?